The dynamic, chisel-shaped drill head ensures swift penetration and optimal material removal. The t.. Thanks to the optimum 4 x 90deg symmetry, all four carbide cutting edges function evenly and do not ..
Convex angle designed tip for better penetration less binding and easier resharpening. 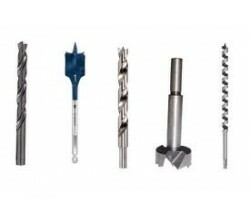 A strong and..
Total Length - 200mm Drill Length - 150mm Diamond ground percussion carbide tip with two cutting..
Total Length - 150mm Drill Length - 85mm Diamond ground percussion carbide tip with two cutting ..
Total Length - 150mm Drill Length - 90mm Diamond ground percussion carbide tip with two cutting ..
Total Length - 85mm Drill Length - 50mm Diamond ground percussion carbide tip with two cutting e..